Patrice Chatard, Co-founder and CEO of Finance Active since 2000, has a 20-year experience in financing and market risk management. He started his career as an auditor at Arthur Andersen before joining Société d’Emission et de Crédit (SEC). He pursued his career at Crédit Agricole, where he was responsible for financing and market risk management in the Corporate Department. 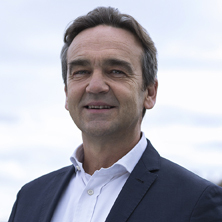 Patrice Chatard holds a DEA in International Finance and Economics from Paris Dauphine University. 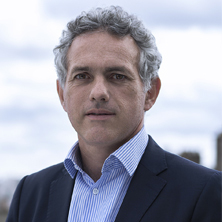 Jacques Descourtieux, Co-founder and CEO of Finance Active since 2000, has a deep knowledge of financial management issues. He began his career in Rhône-Poulenc’s and Société Générale’s trading rooms before becoming International Financial Controller for IT leasing – Europe Computer System. He was then appointed as CFO at Générale de Santé and the Newell Products group in France. Jacques Descourtieux graduated with a DESS in Management of Financial Institutions from Paris Dauphine University. Guillaume Bodet started his career as a Technology Consultant at CS Tech and then as a Senior Technology Consultant at Borland. Later, he became Java/JEE Consultant at Xebia, where he was then appointed as Chief Technology Officer and Associate. In 2011, he joined Finance Active, where he holds the position of Chief Technology Officer. Frédéric Ceyte is a graduate of the Arts et Metiers Paris Tech. He started his career in 2000 at Sophis, one of the best French success stories for financial portfolio software. He started in the ' products ' teams as Quality Engineer and Business Analyst where he spent 7 years between Dublin and the Paris headquarters. Then he was sent to the United States to develop the American subsidiary. He stayed for five years, and successfully developed the activities of Sophis in the USA. In 2010, Misys, the world leader in financial software publishing buys Sophis. 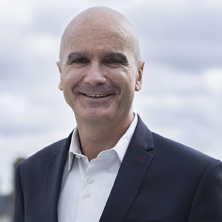 A few months later, Frédéric returned to France where he joined the Sales Team at Misys. Frédéric Ceyte joined the Finance Active team on January 1, 2018 and manages all the commercial teams. His mission is to accelerate the development of Finance Active abroad and to increase its presence with financial institutions. From 1994 to 2002, Jean-Nicolas Hutin worked in the fields of financial markets (CAI - Crédit Agricole Indosuez) and consulting (Cap Gemini). He started his career at CAI, where he managed portfolios of exotic interest rate instruments. At Cap Gemini, he was in charge of trading issues relating to gas and electricity for the French market. 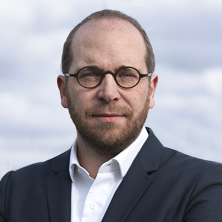 In 2002, with Eric Boulot he co-founded Riskedge, a consulting company specialized in financial risk management for the corporate and public sector. Through the subsidiary Riskedge, he manages Finance Active’s consulting activities. 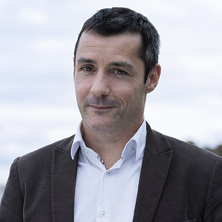 Jean-Nicolas Hutin graduated from École des Mines de Paris (1992), and holds a postgraduate degree in “Random mathematical models in economics and finance” from Paris VII University (1992). Nicolas Obolensky started his career in 2002 at Bloomberg in New York City, where he stayed for 6 years. After getting his MBA at INSEAD, Nicolas worked in different companies, such as Murex and eFront, where he was responsible for lead products. 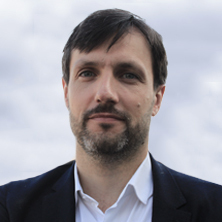 Nicolas has more than 15 years of experience in fintech, including more than 10 years in product management, in high-growth and international contexts. Nicolas joined Finance Active in January 2019 as the Chief Product Officer.